Hello just started learning Chinese and am having extra hard time familiarizing myself with the Four Mandarin Chinese Tones. They are very distinct and I can definitely tell the difference with my own ears. Kindly help! What's the best way for my ears to get used to the sound differences once for all? Any tips, please? You are more than welcome to recommend videos you found helpful in youtube or elsewhere also. Pls help! If it goes like this won't be able to speak properly nor understand spoken Chinese properly. mà: try to pronounce maaaaaaaaaaaaaaaa continuously first with a high tone (from “a” in “mark”), then quickly lower the tone. Until you hear the difference between má and mǎ, try to learn how to tune the tone of mǎ in the middle of maaaaaaaaaaaaaa. Big thank you for this! I will keep practising! third tone: same tone as if you're saying "yeah....." to something you don't really agree with, or feel is irrelevant. "I mean... yeah.... but...." Your voice should drop to the lowest comfortable tone before going back up. mǎ pronounced correctly is a little bit longer than má, actually. I grew up in a bilingual Chinese/English household and the difference when speaking quickly is not always clear to me either. This website has a flash illustration inside. Just ignore the Chinese explanation first. At first, when I was learning, I was under a time limit, and that put pressure on me. I was not listening to the tones, but with the help of Litao on Litao Chinese( https://www.youtube.com/watch?v=krO-A8L47UI&t=5s ) I was able to get it. 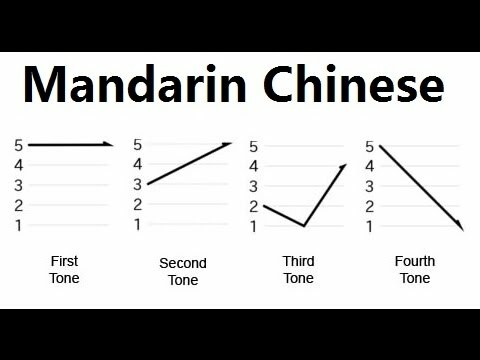 It does take practice to learn the tones, but you will actually find that Chinese is easier. For example, the words for the pronouns, he and she, are the same. I really hope this helps. OH! One more thing. Litao started pricing his elementary lessons, but I think his pinyin and tone ones are still free. Personally, if you are still struggling with the beginner courses (which I doubt you will be) then it is worth the money to buy the elementary lessons. I think you can still watch the first half of the elementary lessons though, to try it out. The tone of a character can change depending on the the tone of the character that follows or precedes it. For example 不要 is 4th followed by 4th but bu would change to second. Most introductory text books will cover tone changes. Chinesepod also has some good material on tones. ma at the third tone is first at a regular tone then arcs down and then goes up. When saying ma at the fourth tone, say it very fast. I have a hard time to XD I had a bit of brain power wasted but eventually got it! Contact me at my email Professerpizzaroll@gmail.com and i can help you with the tones because i too struggled with the tones.